My Education Blog: Want kids to love school? Stop telling them they stink and find their strength. Good schools don’t just teach you subjects. Good schools teach you about yourself. A focus on strengths is the secret to a better school. We want students to be leaders, but we never let them lead. Let’s change that! Here’s how. Do you want your teachers to be six times more engaged in teaching? Do you want your students 30 times more likely to be engaged in school? Would you like to triple your teachers’ quality of life? Then, focus on strengths, not weaknesses. We must move the emphasis from standards to strengths. Sure, we need to help kids with their weaknesses. Most people need basic math, reading, and writing. But when we hyper-focus on weaknesses, we forget to nurture talent. If Baryshnikov was born to dance, why should he die in trigonometry? 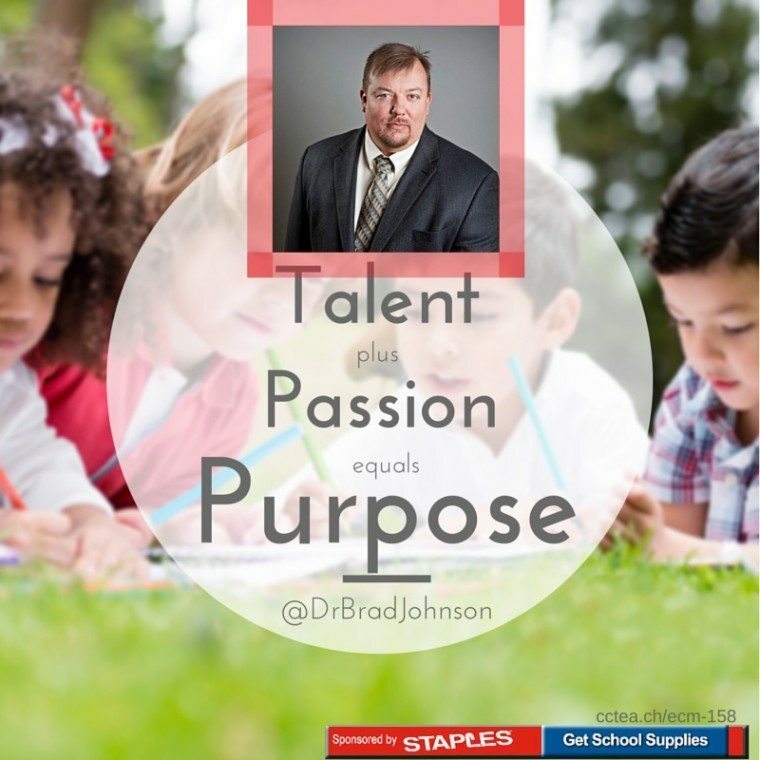 While I’ve already written up the show that inspired this post, I’ve been thinking about three of the ways Brad says we can focus on student strengths and make our schools stronger. (Read more, in his book What Schools Don’t Teach.) Here are some thoughts on what all of our schools should be doing. 1. Encourage teachers need to bring their talents to their teaching. Figure out a way to teach with what you love. You’ll be more excited. Your students will too. Trish Cloud uses Minecraft with Common Core Standards. Monica Evon uses apps aligned with Common Core. Jed Dearybury sings with his fifth graders. Tinashe Blanchet used filmmaking to teach math. Jacques duToit tweets with his history class. Scott Allen teaches math with sports. Marsha Harris taught French with app programming. If you want to be more exciting, be excited. Think of what you love. Use it to teach. 2. Help students enjoy and appreciate their strengths and the strengths of other students. Sadly, ask a student about where they stink, and they’ll answer. Ask them about their strengths, and they’ll shrug. What’s wrong with this picture? Don’t we give genuine compliments? And we only focus on the weaknesses? If a parent did that, we’d say they were a bad parent. Why are some schools getting away with it? 3. Create leadership positions for students. In my classroom, if there’s a job we create a title for it. Jobs have a responsibility. If there is responsibility, there is accountability. Accountability and responsibility cause incredible learning activity. To teach leadership, we have to have leadership positions. Yes, it changes our classrooms. It makes us more of a coach. But that’s the way it should be. Let students lead. Give them responsibility. Don’t be a dictator. Do you give tests to help students find their strengths? (I do.) Are you only looking for weaknesses you can “fix”? How do we help students know themselves? Look for their strengths first. Strength-finding is part of the brain that we can develop. We can shift from standards to strengths, from standardization to personalization, from weakness to wonderful. As we look for strengths, we’ll build stronger schools. As I started this year, I showed a picture of an uncut diamond to my students. I asked them what it was. Most didn’t know. I said it was valuable, but sometimes didn’t look like it. I said it represented them and it was an uncut diamond. My job this year is to help them find their talent. We might only find a few facets but that we’d look for it. I will know I have succeeded when I have told every parent and student something truthful that I’ve noticed that student does well. The mentality of looking for strengths instead of deficits changes everything. The classroom becomes a place where we rejoice in talent. We celebrate talent. Students point out strengths of each student. I would daresay, it even makes class more fun. How do you look for talent? How do you spot strengths? How do you communicate such a mindset to your students? Empower students with hope, don’t crush them with their incompetence. We can do this. We can help students find their talents. If you look at people who tell stories about great teachers, it was almost always those teachers who saw something in the student they didn’t see in themselves. Be that kind of teacher. Be the noble teacher. Be a talent scout. The post Want kids to love school? Stop telling them they stink and find their strength. appeared first on Cool Cat Teacher Blog.